Let me shower you with rose petals today. On second thought, as far as I’m concerned, roses are too good to be left only for Valentine’s Day, and whenever I can, I indulge in a bit of pink petal fantasy. Rose perfumes are great to daydream about summer, but my little secret is found in a kitchen cupboard. It’s a bottle of rosewater. I use it in my tea, splash it on my face and sprinkle the bed sheets for a delicious finale to my day. If you want everything coming up roses, it’s hard to resist its honeyed perfume. Rosewater is the by-product of rose oil production. When the rose petals are steam distilled, the watery substance (hydrosol) that remains behind after the essential oil is removed still has a rich scent. 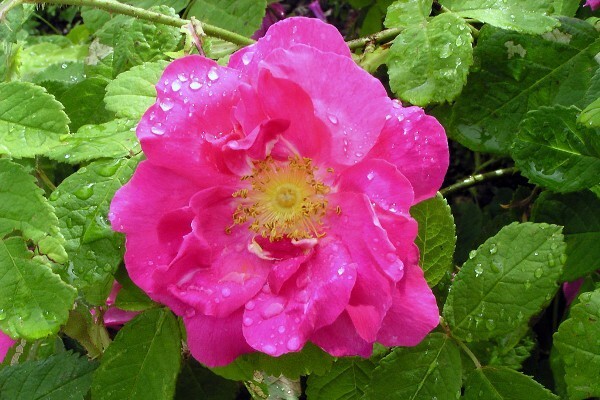 It’s prized for its cosmetic and flavor properties, and genuine rosewater smells like a walk through a blooming garden. Commercially, it’s biggest use is in skincare and flavors. In food, it’s not only used for candy and desserts; a rose accent can add an intriguing layer of flavor to a savory dish. I could give you 100 ways to use rosewater; it’s remarkably versatile! I will start with these 10, and over time I will be adding other recipes to the collection. You can always click on the rosewater tag to see my favorite rosewater applications. 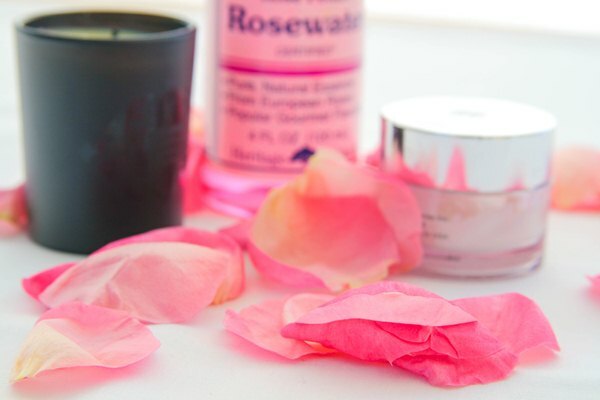 But first, a few words on what to look for when you shop for rosewater. Food and cosmetic grade rosewater can be found at Indian and Middle Eastern stores, Whole Foods and gourmet shops like Dean & Deluca. When you buy your rosewater, pay close attention to the label. Not all fragrant waters are made equal, and while some brands sell the real by-product of rose oil production, others offer reconstitutions of varying quality. Some of the best rosewaters are made by Iranian companies, where the rosewater production is a well-established business. If your Iranian rosewater is made in Kashan (it would say so on the label), you’re in for a special treat. Kashan roses smell like warm honey and berries. Lebanese rosewaters are also excellent. 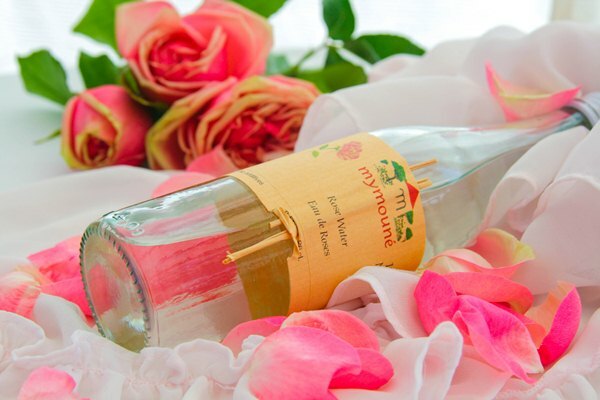 Mymouné is my top choice for genuine rosewater. It is produced according to traditional methods by a women’s cooperative in Lebanon. Cortas is another recommended Lebanese brand, and their product is made out of distilled rose petals, with no additives. The perfume is more citrusy and metallic than Mymouné’s, but for body treatments and cooking preparations that require heating it’s ideal. When it comes to reconstituted rosewaters, things get murkier. One of the better options is Heritage brand available from natural food stores. 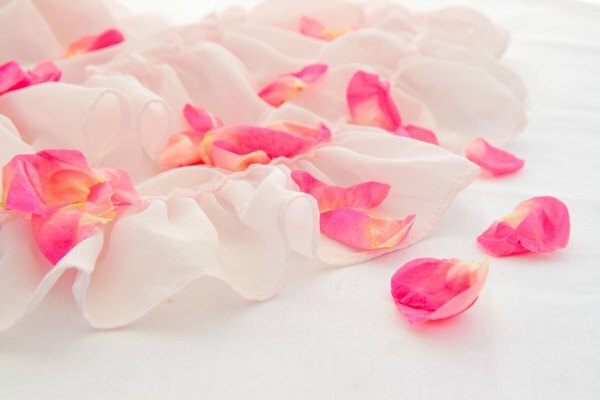 It contains only pure rose oil and distilled water and smells like sunwarmed rose petals. Less well-regarded are the brands that spike their rosewater reconstitutions with rose synthetics. While their product is safe to eat, the scent may be sharp and metallic. When you see a label that says “Water, Concentrated Rose Water, Natural Rose Flavors” or “Steam Distillate Made from The Purest Rose Petals. Ingredients: Propylene Glycol, Alcohol(40%), Rose Oil, Natural Flavors,” beware that you may not be getting the best deal. 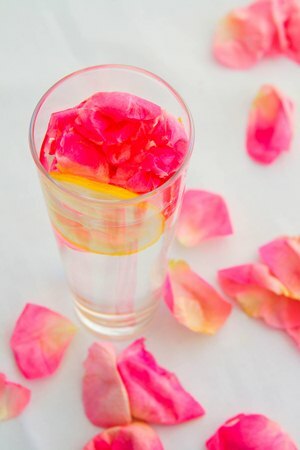 If you’re a real do-it-yourself type and have access to fresh, scented rose petals, you can try making rosewater yourself. Rosewater smells exactly like fresh petals, and what it lacks in longevity–10 minutes is all you get, it makes up for with its sunlit charm. 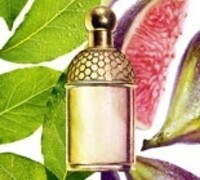 On days when you’re traveling or don’t want to have a perfumed presence, it’s ideal. It feels refreshing and uplifting. An important ingredient in many skin care preparations, rosewater is likely to be already featured in your toners, lotions and creams. Its anti-inflammatory properties make it soothing for dry skin. In Morocco, it’s frequently mixed with argan oil for a homemade makeup remover. I add a tablespoon of rosewater to one cup of distilled H2O for a softening toner. As with any new skin care treatment, be sure to do a patch test before you start using it on regular basis. Another way I incorporate rosewater into my beauty regimen is to use it as a hair rinse (2 Tablespoons per 1 cup of water). After I shampoo and condition my hair, I thoroughly rinse and then follow up with the rosewater mix. It’s excellent for skin and leaves a very delicate scent in my locks. Rose’s many benefits for skin care make it an interesting addition to homemade body treatments. I use it in my Rose and Vanilla Almond Oil, or if I’m pressed for time, I mix rosewater and my regular body cream. You can also add it to scrubs and directly into bath water. A rose scented bath at the end of a long day is the best antidote to stress. A recipe for sweet dreams and more! I add 3 Tablespoons of rosewater for every 1/2 cup of water and pour it into a spray bottle. Before getting into bed, lightly mist the sheets with scented water. Almost anything milk based works perfectly with rose: cream, yogurt, fresh cheese. Delicate and light, rice pudding is one of my favorite desserts falling into the comfort food category. Just substitute rose water for orange blossom water in my recipe. Or stir a dash of rosewater into pannacotta. Be careful not to add too much, because the rose flavor can be very strong. 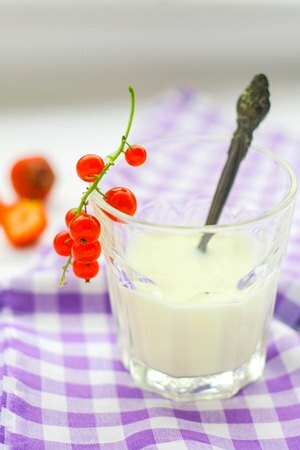 Another interesting recipe to try is Indian Yogurt Mousse with Rose and Saffron. I love starting my day with a cup of rose scented tea, thanks to the fantastic recipe developed by Andy, our resident tea expert. The marriage of lush rose and bitter tea is irresistible. Since rose and lemon share some flavor components, it’s only natural to try blending them. Start by adding a teaspoon of rosewater to your favorite lemonade recipe and notice how the floral nuance of lemon grows stronger. Old Russian pastry recipes often include rosewater as one of the optional aromas, along with vanilla, cardamom, lemon peel and cognac. Added to the cake batter or the dough for butter cookies, rosewater will not make them taste perfumey, but it gives more depth and complexity. A tablespoon per each cup of flour is my favorite ratio (be sure to adjust the amount of liquid used in the recipe). Rose and lychee is one of the most beloved pairings in perfumery, from Chloé to Serge Lutens Sa Majesté la Rose–these notes complement each other perfectly. Raspberries, strawberries and even apples take well to rose. One of my favorite winter fruit salads involves julienned apples and pears sprinkled with lemon juice, rosewater and sugar. Macerate for 15 to 30 minutes and serve with lady fingers to soak up the delicious juices. 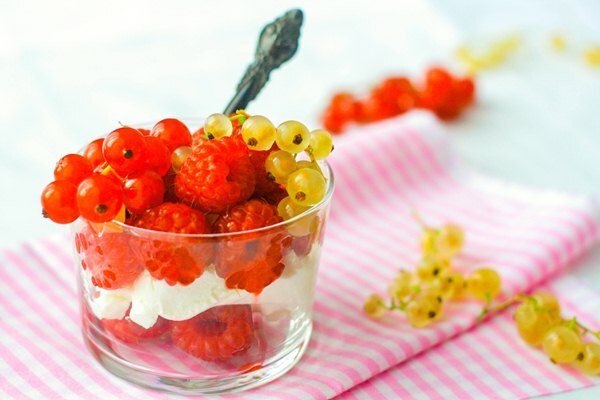 In the summer, I give raspberries a boost with rosewater, sugar and a pinch of thyme. The flavor is magnified tenfold. If you have a recipe in which you use almonds or pistachios, you can be certain that rosewater will fit in perfectly. The milky sweetness of these nuts blends so seamlessly with rose that you will wonder why you haven’t tried this pairing sooner. Most traditional Indian and Middle Eastern sweets usually rely on this flavor combination–a classic! Do you have your favorite ways of using rosewater? Photography by Bois de Jasmin (except for photo #2, rosa damascena via wiki-images, some rights reserved). Jacqui: Victoria, I’m usually a lurker, but I read your blogs every day. This post made me smile. The pictures are lovely and the ideas are interesting. Thank you for all of your hard work and for making my mornings brighter. Jillie: Those photos are so beautiful – the colours seem to sing. You’ve made me want to bath in rosewater now. Victoria: I love bright colors in general, and it’s hard for me to resist roses. There is a nice little florist around the corner, and whenever I pass him by, I’m tempted to buy something. So, we often have fresh flowers at home. Annikky: Lovely post. I’m a long-time fan of rosewater, but there were some great new ideas: I have never though to use it on my hair, for example. Victoria: Another great idea I’m jotting down. I will try it later tonight. A perfect variation on my usual chai recipe. Bhama: Thanks for this wonderful post! I adore roses and anything rose flavored. From Jo Malone red roses to FM PoaL I can’t get enough of them! I recently tried rose flavored Turkish delight and it reminded me of something called rose milk that I used to drink growing up in India. It was rose essence mixed with cold milk and sugar. I need to find that rose essence. 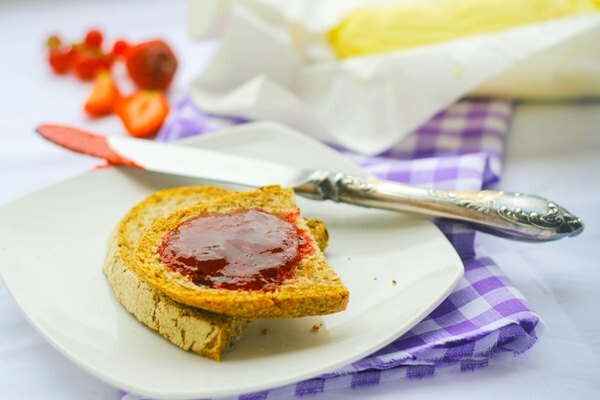 Can you recommend a good rose jam V? Victoria: In India I’ve tried the most decadent rose scented milkshake that was made with cream and rose syrup. I didn’t even try replicating it, but a touch of rose water in plain lassi is always a treat. sara: i’m happy that you like mymoune too! i buy its jams from a little gourmet shop in my town and i can’t get enough. i recommend oasis, a mix of dates and walnuts. CC …: I’m usually a lurker too, but a faithful reader. What a gorgeous post. Stunning photos and delightful suggestions. Thank you! Victoria: Thank you! Very happy that you liked them. Victoria: I also prefer either a rose lassi or a plain salty lassi with roasted cumin. Also, whenever I manage to get good mangoes, I don’t want to do anything but eat them unadorned. elvanui: Victoria, what a lovely post. I have never tried rosewater for dishes, except for the rose petal jam I once made (catastrophy in the kitchen but heaven on my lips!!! ), but I would love to. I also like rose water tonic for my sensitive skin. But what made me sigh was the overall idea of using rose water. It’s just so lovely to imagine You -ethereal, sophisticated and effortlessly radiant as I always picture You to be – sipping rose-scented tea after emerging from rose-scented sheets, like a heroine from a 19th century novel… Oh why the old days are gone:)? This post, Your suggestions and the beautiful pictures flew me back in a time when being a woman meant being fragile and dewy, refined and soft-voiced and soft in general. Thank You :). Victoria: I’ve started using rosewater toner on regular basis shortly after coming to Belgium. The water here is really the worst thing about living in Brussels. It’s hard and irritates my sensitive skin. So, now I rinse my face and hair with distilled water after every wash (+rosewater), and it turned out to be a perfect solution. Rosewater on its own has numerous great benefits for skin. Laura: Sigh of relief as it’s not about rose fragrance as it works really bad with my chemistry. I cried after trying all Rosines – the headache was also part of it. – rose sherbet – a thick rose syrup that you mix with a wooden spoon until it crystallizes into a cream, the way honey does. You use a long teaspoon to scoop a measure of the rosy sweetness into a tall glass of iced water and you nibble it with the water. Then there’s Tumulte by Christian Lacroix, that’s a jammy rose and it works but not for everyday. Victoria: That’s a good question for our Recommend Me a Perfume thread! I need to think about it, and honestly, I myself would love such a perfume–a light, dry rose. Most of my favorite roses are on the dark and sultry side like Portrait of a Lady or La Fille de Berlin, my most recent love. But I don’t think that those would work for you. Laura: You can make sherbet with everything – fruit, roses, chocolate … this time of the year you may try citrus fruit or chocolate. Lemon and lime or tangerine would be particularly fresh. Let me know if you want a recipe translated. But keep in mind it’s like making at least three large mayonnaise bowls by hand, in sequence. Victoria: Oh, I would love a recipe! Thank you so much in advance, Laura. Tendr’Aimada: What lovely photos, Victoria. I’ve never thought of spritzing my sheets, I must do this! I’ve never thought of adding rose water to lemonade, that also sounds delightful. Thanks for the tips. solanace: I love this post! Thank’s for sharing! I to have always been a huge fan of that most versatile of flowers, the rose. 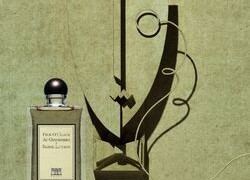 For me it is neither male nor female in its fragrant aspect and can be worn easily by men and by women. I have, strangely one might think, never wandered to way of the water before. This will quickly change now!! To Edgware Road tomorrow I shall go where my city’s Lebanese population has it’s stores and with your ever reliable tips in hand this Dandy a rosewater shopping will go. Thank you as ever for your gentle guidance. just a quick question: do you – or anyone else – know if it is safe to use (diluted) rosewater or orangeblosson water as an ironing spray? At the moment i use storebought ironing water but surely there must be a recipe that’s cheaper and not bad for your clothes? Daisy: Lovely, lovely, lovely! One of my 2013 food resolutions is to learn how to work rosewater into more of my cooking. This post is great inspiration! Thank you! Victoria: That’s just an empty jar I use to mix rosewater and body cream. I don’t make too much at once. I bought rose water purely for use on my body, however after getting it home and looking at the ingredients I’m concerned it will make my skin worse rather than better. It’s Star Kay White Rosewater the ingredients are 50% alcohol, propylene glycol and natural rose oil. Hello! Just want to ask how many tablespoon will i put for bathing,..?! 1. When some dust particle falls into the eyes or the eyes are irritated or reddened put 1-2 drops of rose water and close the eyes for a minute. It might hurt a little on the first use but has got no harm. It refreshes the eyes and gives a glow. 2. When liquid makeup dries, rosewater can dilute them. Add a few drops of rosewater, close the cap of the makeup bottle n shake it a little. The makeup is as good as new. But don’t add too many drops of rosewater as it may overdilute it. I always do it with liquid eyeliner and foundation. 3. Rosewater is an excellent toner. Add a little bit of camphor or mint leaves to rosewater and use it as an astrigent. 4. Mix rose water and olive oil together to make a moisturiser and use it every night after cleansing face. Regular use gives a glow to the skin. My mom has been using it and I have seen the visibility of fine lines too though it takes a long time and patience. 5. Use rose water to soothe sunburn skin. Diana Spivak: The rose fragrance is one of my favorite, along with gardenia and jasmine. I remember my mom and grandmother use cotton soaked in rose water for puffy eyes!